Angus, tell us a bit about yourself. What is your role, and how long have you been working in digital forensics? Where to begin? I have a lot of different roles these days, but by day I’m a Lecturer in Cybersecurity – currently at the University of York, and also run my own digital forensic consultancy business. I drifted into the forensic world almost by accident back in 2001 when a server I managed was hacked. I presented a paper on the investigation of that incident at a forensic science conference and a few weeks later found myself asked to help investigate a missing person case that turned out to be a murder. There’s been a steady stream of casework ever since. I’m registered as an expert adviser and most of my recent casework seems to deal with difficult to explain or analyse material. Alongside that, I’ve spent a lot of time (some might say too much) working on standards during my time on the Forensic Science Regulator’s working group on digital evidence and as a member of BSI’s IST/033 information security group and the UK’s digital evidence rep. on ISO/IEC JTC1 SC27 WG4, where I led the work to develop ISO/IEC 27041 and 27042, and contributed to the other investigative and eDiscovery standards. You’ve recently published some research into verification and validation in digital forensics. What was the goal of the study? It grew out of a proposition in ISO/IEC 27041 that tool verification (i.e. evidence that a tool conforms to its specification) can be used to support method validation (i.e. showing that a particular method can be made to work in a lab). The idea of the 27041 proposal is that if tool vendors can provide evidence from their own development processes and testing, the tool users shouldn’t need to repeat that. We wanted to explore the reality of that by looking at accredited lab processes and real tools. In practice, we found that it currently won’t work because the requirement definitions for the methods don’t seem to exist and the tool vendors either can’t or won’t disclose data about their internal quality assurance. The effect of it is that it looks like there may be a gap in the accreditation process. Rather than having a selection of methods that are known to work correctly (as we see in calibration houses, metallurgical and chemical labs etc. – where the ISO 17025 standard originated) which can be chosen to meet a specific customer requirement, we have methods which satisfy much fuzzier customer requirements which are almost always non-technical in nature because the customers are CJS practitioners who simply don’t express things in a technical way. We’re not saying that anyone is necessarily doing anything wrong, by the way, just that we think they’ll struggle to provide evidence that they’re doing the right things in the right way. Where do we stand with standardisation in the UK at the moment? Standardization is a tricky word. It can mean that we all do things the same way, but I think you’re asking about progress towards compliance with the regulations. In that respect, it looks like we’re on the way. It’s slower than the regulator would like. However, our research at York suggests that even the accreditations awarded so far may not be quite as good as they could be. They probably satisfy the letter of the regulator’s documents, but not the spirit of the underlying standard. The technical correctness evidence is missing. ISO 17025 has faced a lot of controversy since it has been rolled out as the standard for digital forensics in the UK. Could you briefly outline the main reasons why? Most of the controversy is around cost and complexity. With accreditation costing upwards of £10k for even a small lab, it makes big holes in budgets. For the private sector, where turnover for a small lab can be under £100k per annum, that’s a huge issue. The cost has to be passed on. Then there’s the time and disruption involved in producing the necessary documents, and then maintaining them and providing evidence that they’re being followed for each and every examination. A lot of that criticism is justified, but adoption of any standard also creates an opportunity to take a step back and review what’s going on in the lab. It’s a chance to find a better way to do things and improve confidence in what you’re doing. In your opinion, what is the biggest stumbling block either for ISO 17025 specifically, or for standardizing digital forensics in general? Two things – as our research suggests, the lack of requirements makes the whole verification and validation process harder, and there’s the confusion about exactly what validation means. In ISO terms, it’s proof that you can make a process work for you and your customers. People still seem to think it’s about proving that tools are correct. Even a broken tool can be used in a valid process, if the process accounts for the errors the tool makes. I guess I’ve had the benefit of seeing how standards are produced and learning how to use the ISO online browsing platform to find the definitions that apply. Standards writers are a lot like Humpty Dumpty. When we use a word it means exactly what we choose it to mean. 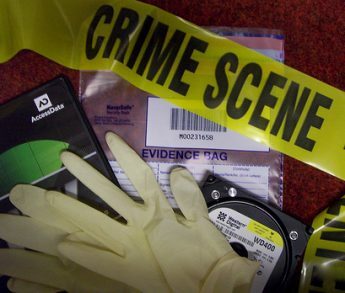 Is there a way to properly standardise tools and methods in digital forensics? It’s not just a UK problem – it’s global. There’s an opportunity for the industry to review the situation, now, and create its own set of standard requirements for methods. If these are used correctly, we can tell the tool makers what we need from them and enable proper objective testing to show that the tools are doing what we need them to. They’ll also allow us to devise proper tests for methods to show that they really are valid, and to learn where the boundaries of those methods are. Your study also looked at some existing projects in the area: can you tell us about some of these? Do any of them present a potential solution? NIST and SWGDE both have projects in this space, but specifically looking at tool testing. The guidance and methods look sound, but they have some limitations. Firstly, because they’re only testing tools, they don’t address some of the wider non-technical requirements that we need to satisfy in methods (things like legal considerations, specific local operational constraints etc.). Secondly, the NIST project in particular lacks a bit of transparency about how they’re establishing requirements and choosing which functions to test. If the industry worked together we could provide some more guidance to help them deal with the most common or highest priority functions. Both projects, however, could serve as a good foundation for further work and I’d love to see them participating in a community project around requirements definition, test development and sharing of validation information. Is there anything else you’d like to share about the results? We need to get away from thinking solely in terms of customer requirements and method scope. These concepts work in other disciplines because there’s a solid base of fundamental science behind the methods. Digital forensics relies on reverse-engineering and trying to understand the mind of a developer in order to work out how extract and interpret data. That means we have a potentially higher burden of proof for any method we develop. We also need to remember that we deal with a rate of change caused by human ingenuity and marketing, instead of evolution. Things move pretty fast in DF, if we don’t stop and look at what we’re doing once in a while, we’ll miss something important. Read Angus Marshall’s paper on requirements in digital forensics method definition here.